If you've been looking for an office setup but haven't made the plunge due to lack of space - we've got you covered. Gone are the days of traditional offices as fully dedicated rooms, as well as the days of giant desks and built-in bookshelves. It's just not practical, and we understand that. That's why we've created three easy small office solutions. You'll find everything you need for your work to flourish - from desk to file sorting. Take a look and shop, below! 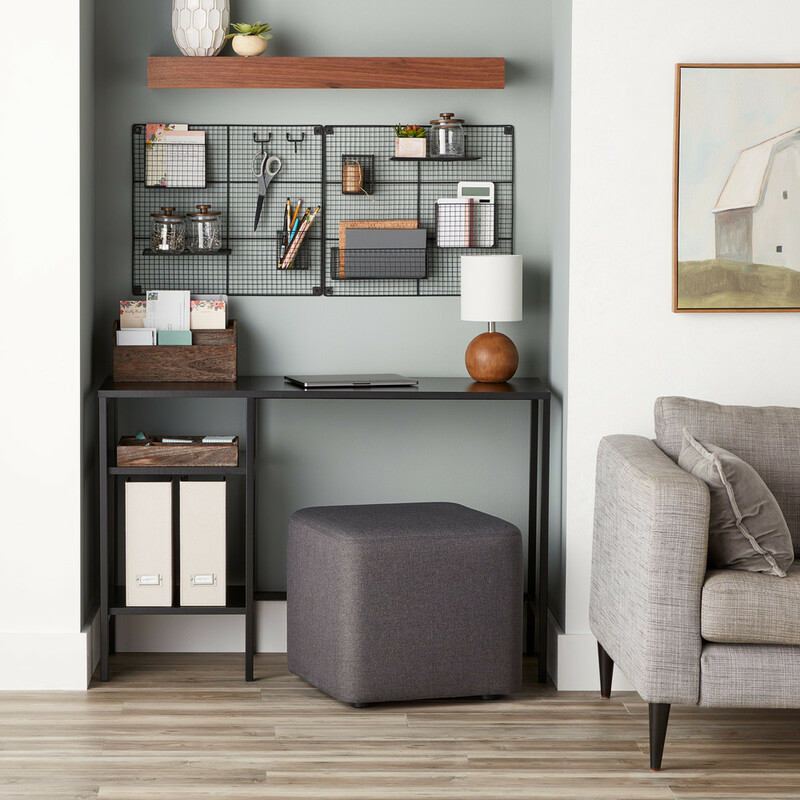 Our Small Rustic Office Solution combines a rustic, decorative feel with space maximizing solutions that allow you to sort, store and work all in one place. Our Feathergrain Wooden Desktop Organizers and Wooden Tray both come with this solution. 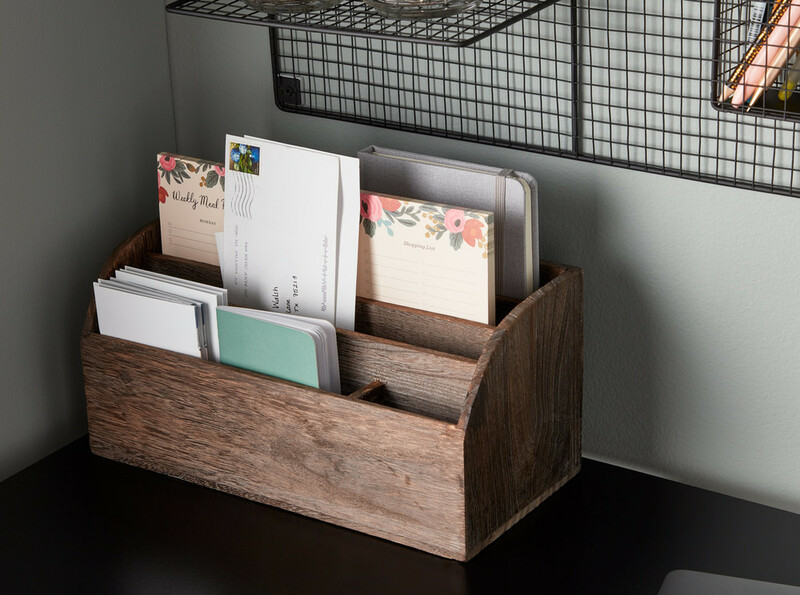 Their weathered, wooden style departs from the traditional desktop organizer and blends into the decor no matter what room you're officing out of. Artisan Glass Canisters are a welcomed change from traditional cups to store your pins, binder clips and office accessories in. 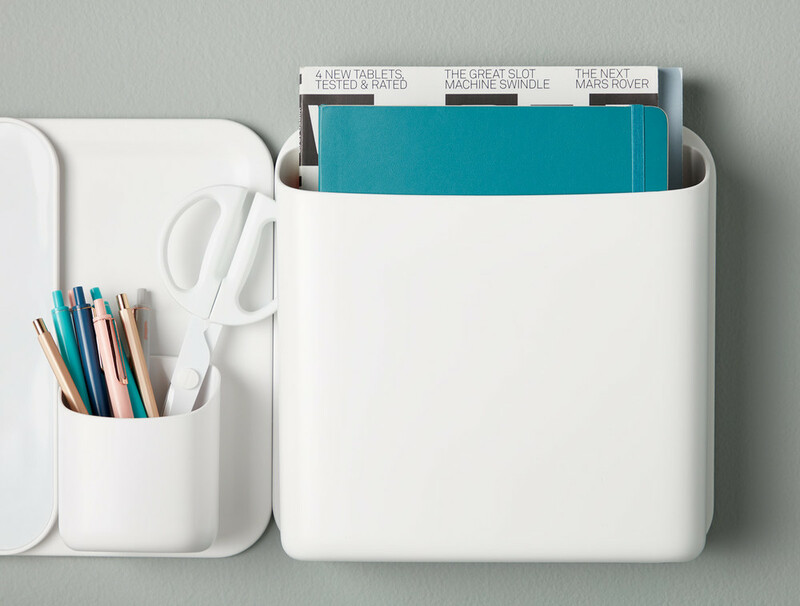 Our Bristol Magazine Holder is the perfect "off-white" color to create a pop of color-contrast within the desk. Plus, it's extremely functional with a design that can conceal while still being easily accessible. A built-in label holder make identifying items even easier. 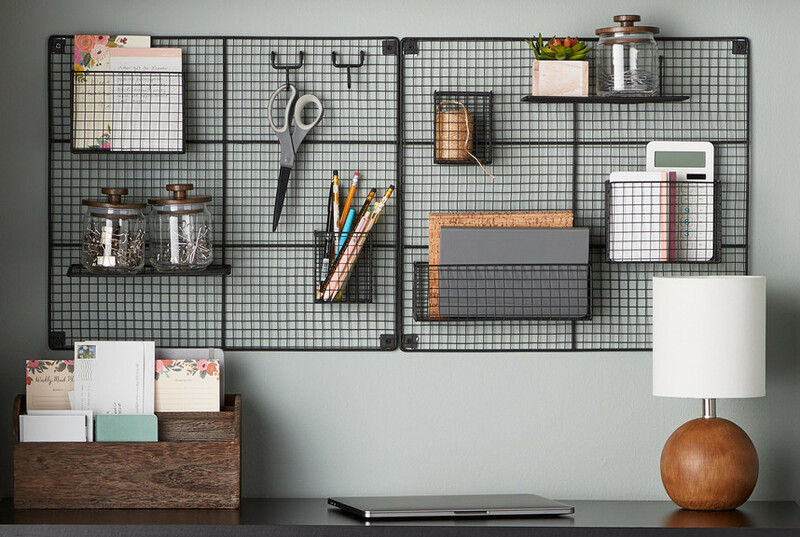 Our Wall Grid Collection provides the ultimate organization with its endless ability to adjust to any storage need. 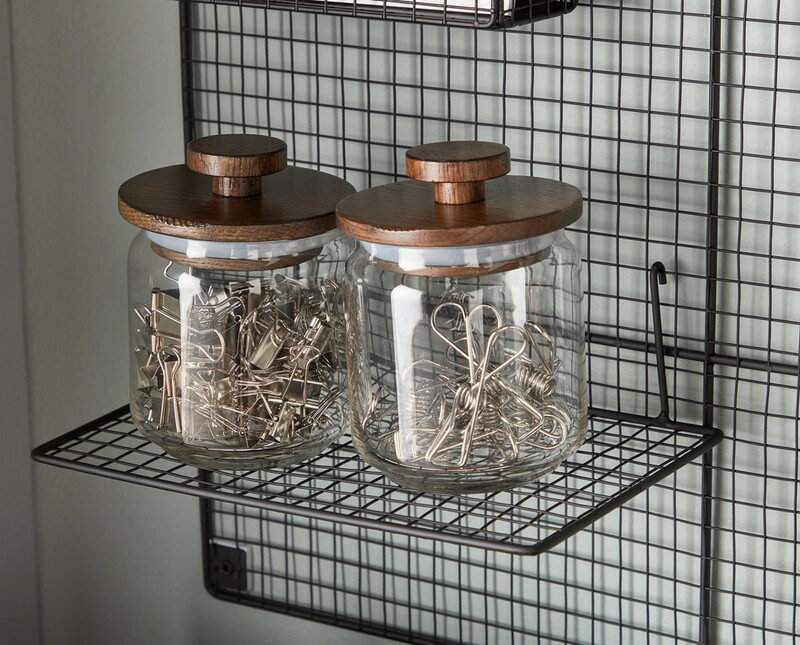 Whether you're hoping to use the system for strictly office storage, craft storage or multi-use storage, this system of hooks, bins and shelves can be accommodated to your needs. Our Small Office and Command Center Solution gets right down to business. This solution focuses on the absolute essentials for your storing and office needs. The ingenious Perch Magnetic Wall Storage System starts with one magnetic plate and can be fully customized from there. 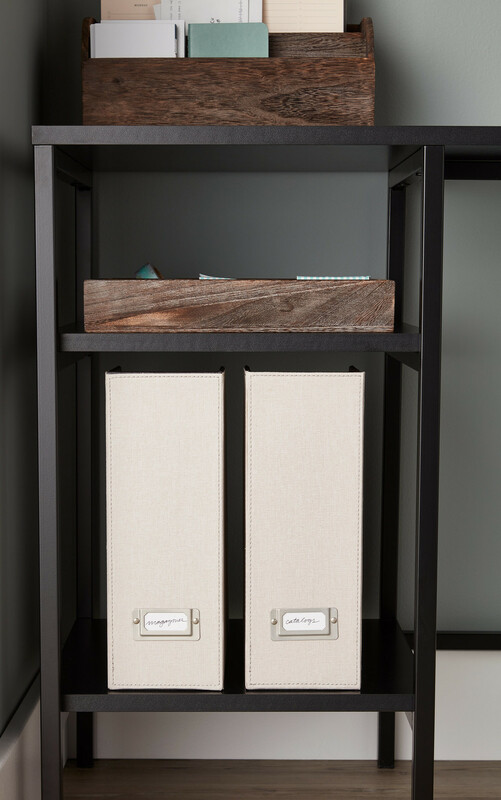 Here, we're using several to create office accessory storage and memo storage, as well as creating a place for a dry erase board. 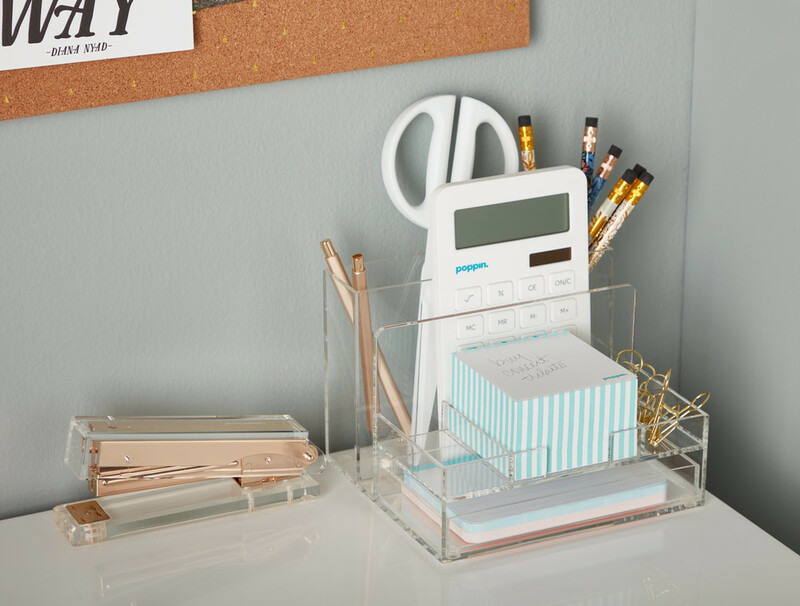 The Poppin All-in-One Desktop Organizer does just that. 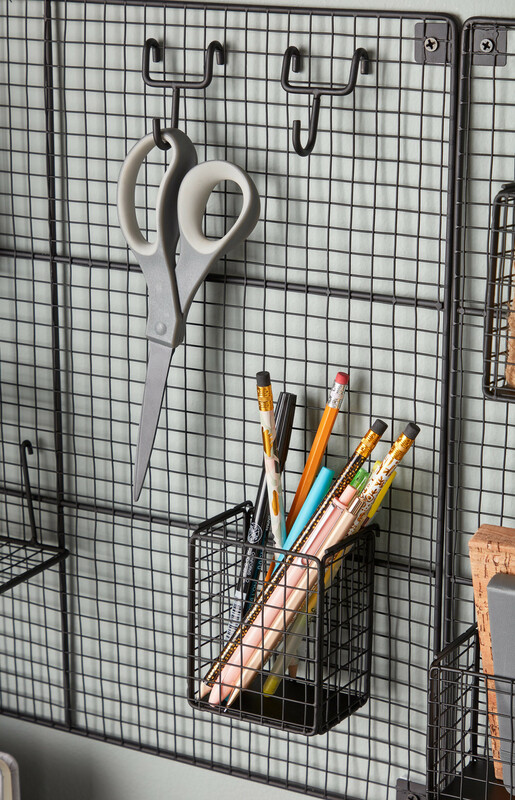 It's a great place to store everything from little pins and binder clips to bigger notebooks, business cards and writing tools. 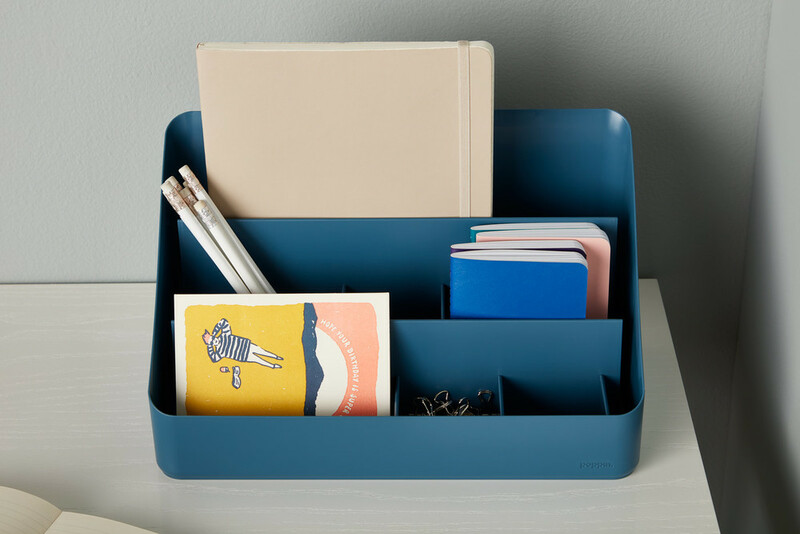 For larger files, folders, notebooks and more - look no further than our Perch Biggy Magnetic Container. The strong magnetic design ensures the files will stay put, and you can easily remove the container when you need to move it room to room. Our Small Mod Office Solution completes the modern aesthetic of every modern open-concept space. 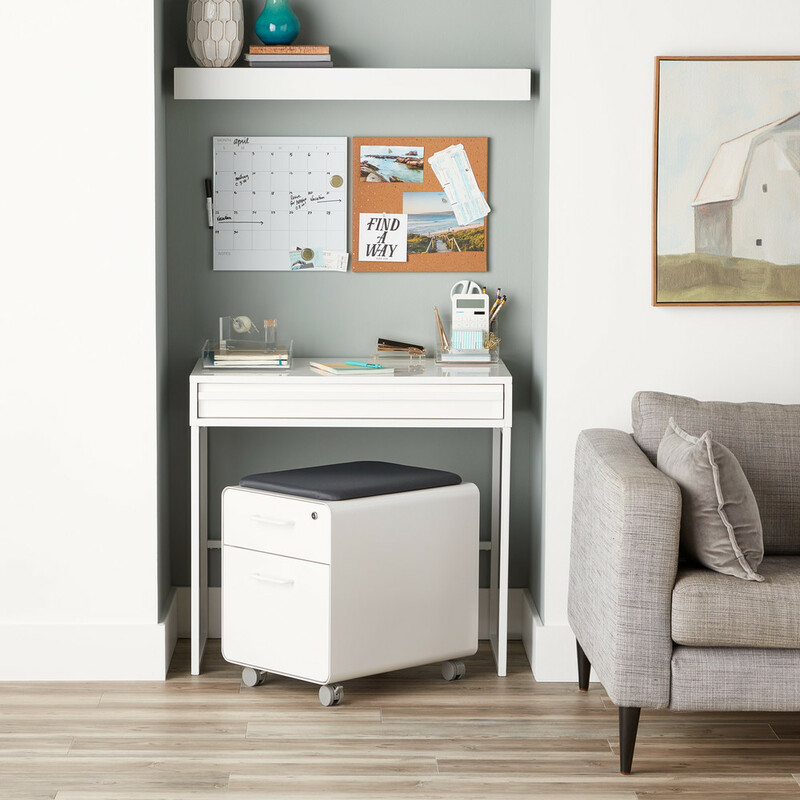 One dry erase board and one cork board give you the canvas for all to-dos and memos, while a filing cabinet that doubles as a seat can store files and extra accessories. 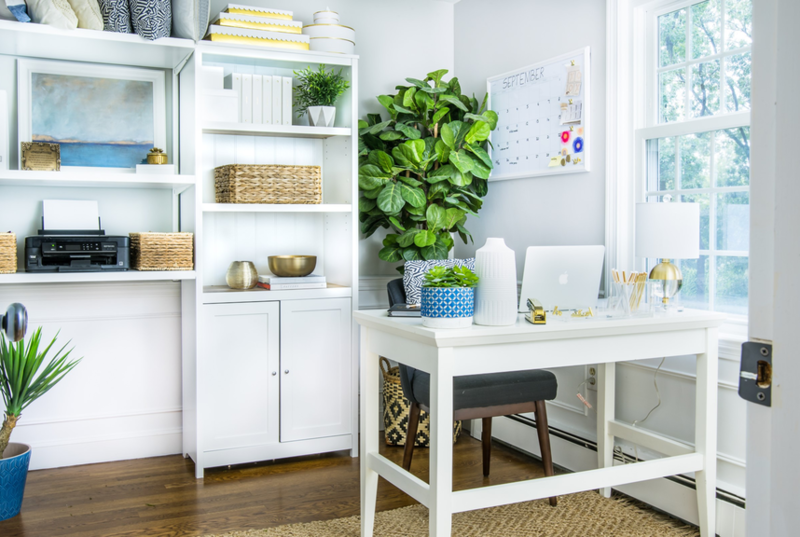 A streamlined and simple white desk leaves you plenty of room to create. Our Acrylic Desktop Collection helps keep things clear - letting the clean design of the space shine. Each solution within this collection is engineered to work with each other whether that's within the system or stacked on top of it. 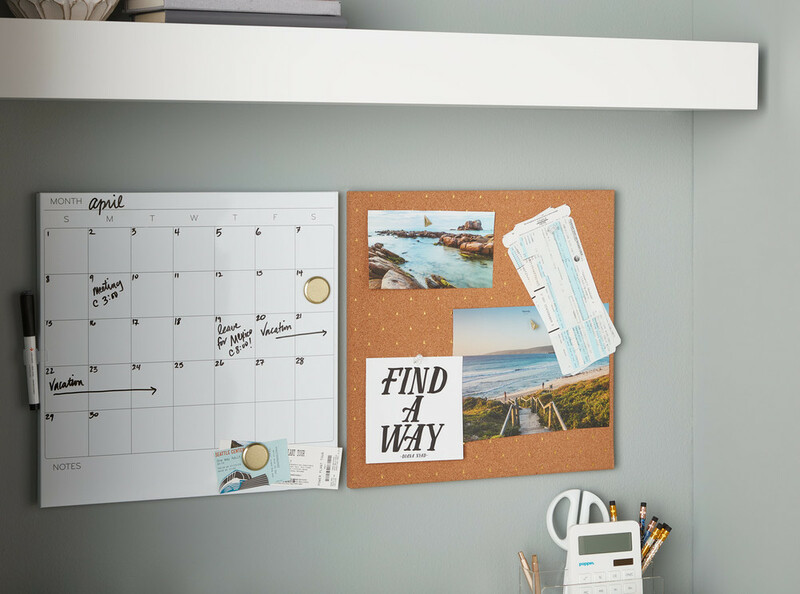 Our Cork Board and Dry Erase Board give you the space for a calendar and a place to post notes and quick ideas. 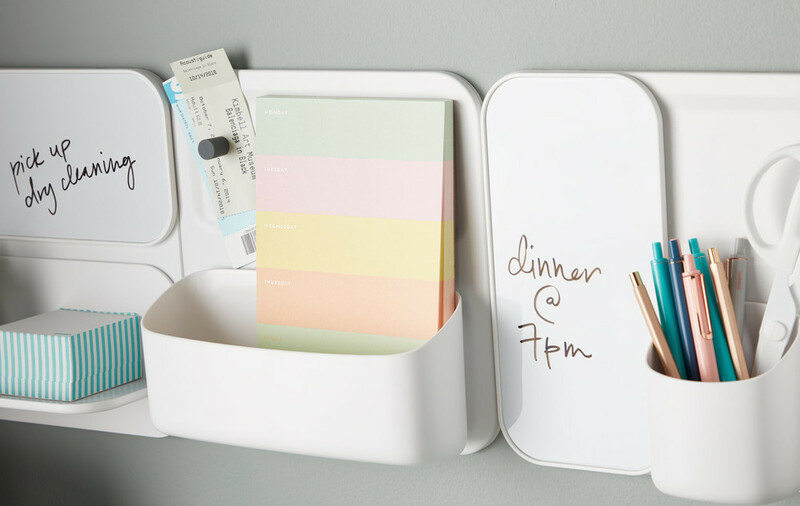 It's an easy way to keep up with your schedule without having to take up an entire wall. 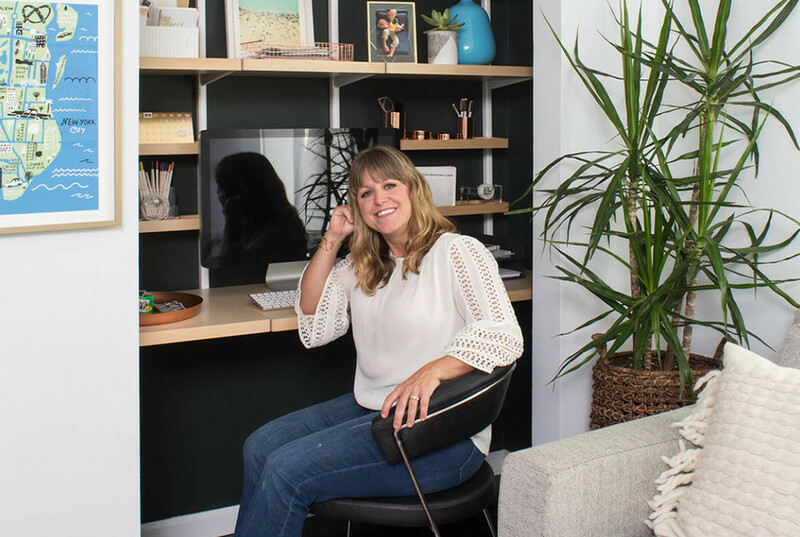 It doesn't have to be a pain to create an office you truly enjoy, and lack of space should never limit what you dream to create! Shop all these office Starter Kits and even more for around the home on our site.